I've had so much fun lately using my favorite We R tools to create some decor pieces for my craft room! Last week I shared how I used the Triangle Score Guide to make the paper gem garland I hung in my newly re-organized space (if you missed that post you can catch it HERE). Today I'm going to show you how I made the pinwheel bouquet that sits on the little shelf underneath that garland. I made these using my Pinwheel Punch Board. The punch board allows you to make several different styles of pinwheels--simple ones, double ones (like mine), layered simple, layered double, etc. You can make them as basic or as elaborate as you'd like! 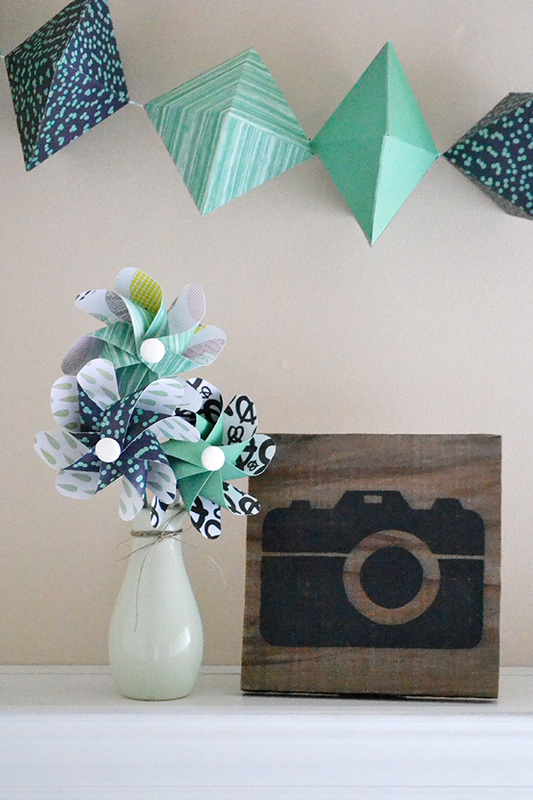 To learn how to create these basic double pinwheels, visit the We R Memory Keepers blog HERE. Making pinwheels with the Pinwheel Punch Board is so easy, and the possibilities are endless. 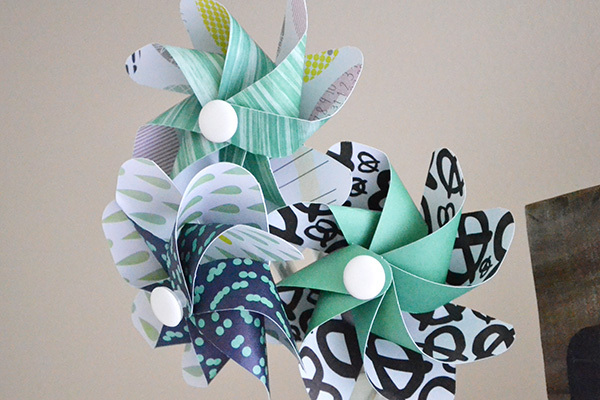 Pinwheels are great for any paper craft project--cards, gift wrapping, home decor, and more!